I’d like to sincerely thank fellow blogger from New York, Lifestyles with Lia for having nominated me for the Liebster Award! Nominate 11 bloggers who you feel deserve this award and who have less than 200 followers (this one is about WordPress followers, as I guess). OK, here are 11 random facts about me…. 11. Thank you for watching this blog, which was created by the spark of inspiration ‘The Spark of Energy’… Thank you for sharing your thoughts and feelings through your blog as well… I love reading other blogs to see the world from the other perspective. Who is your favorite Disney character? Does Disney count? And (drumroll, please…) Here are my 11 questions to my 11 nominees for the Liebster Award! 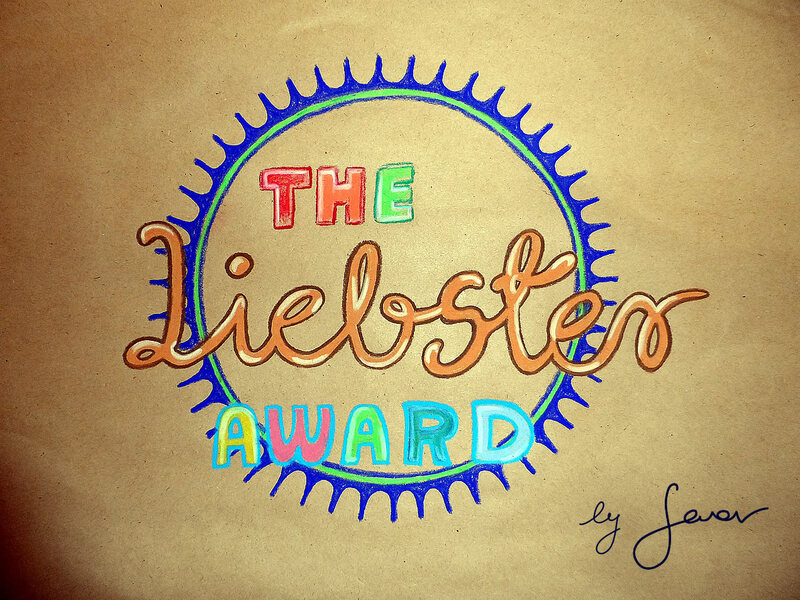 PS If you would like to use the badge of Liebster Award on your blog, feel free to do so.. here is the link: The Liebster Award, Design by Swav. Hi Swav! First of all, your badge looks great and I hope it will be used by future nominees! I look forward to checking out your nominees! It was great pleasure to read your 11 random facts as well as the answers to my questions I posed to you…definitely tagliatelle are amazing — and yes, Disney himself counts! Congratulations again on your much-deserved award! Thanks! That’s so funny you say that because this is truly my dream job! Who know what the future holds! He conocido tu blog por medio de Roberto Rodriguez blog que sigo. Me encanta haber conocido tu blog por medio de The Blog Awards. Best of luck Swav. You deserve it. Congratulations, Swav. You have a great blog here, absolutely love it when you share your art with us. You’re not an early bird…just like me. There’s just something soothing about the night hours of the day that lulls us into creating. The world speaks to us then.